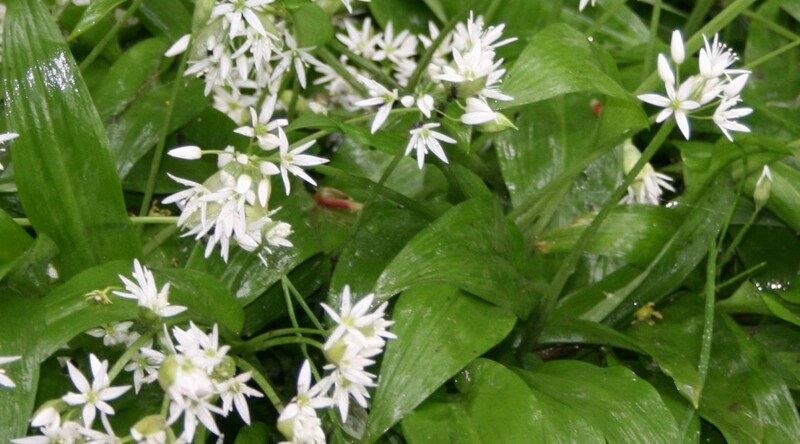 Like it or loath it – the wild garlic comes up like a green tide each spring. Personally, I like it. It’s a lovely pungent addition to salads and it makes a great pesto. There are several species of wild garlic all of which are closely related to the garlic we buy in the shops (Allium sativum). Only 3 members of the garlic family are resident in Ireland, only two are of interest to the bees and only one is a true native but all of them are edible. The bees visit both species although it’s nothing they’ll ever get a crop from, which is probably just as well. 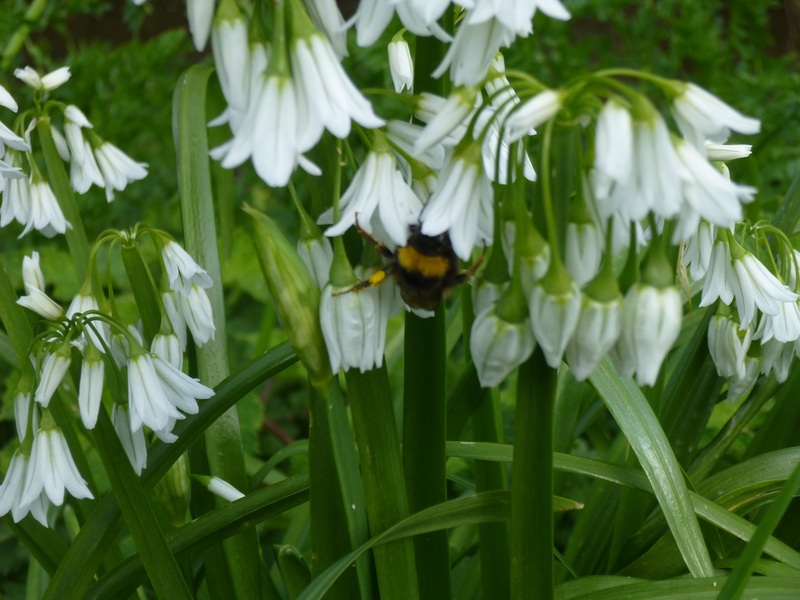 Pollen loads are yellow as displayed by this very obliging, if slightly fuzzy, bumble bee seen here on some Three Cornered Leek or Allium triquetrum. Click it for a better view.